Today marks a new era for Return Path. For over a year we’ve been working with email marketers to ideate, build, and launch a new email performance experience. As the industry leader in deliverability, we’re committed to making email marketing easier and helping our clients be more successful. Today, we’re excited to announce the launch of the Return Path Platform! The Return Path Platform replaces our existing product interface with a modern, innovative, and intuitive email performance experience. 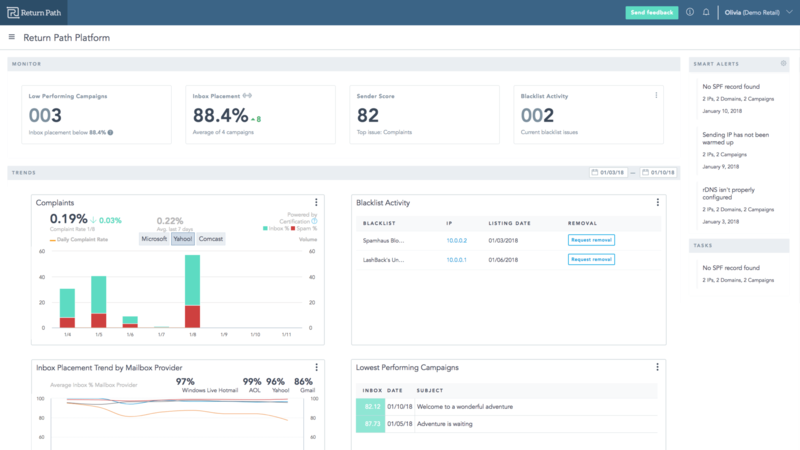 It combines our core deliverability and reputation monitoring solutions to bring you a streamlined view of your email program. All of their deliverability data in one place for at-a-glance analysis, making it quicker and easier to diagnose and solve deliverability problems. The ability to dive deeper into areas where they can improve their email program, as well as ways to continue the things they’re doing well. Resources incorporated throughout the platform to provide context around each issue and allow the customer to explore all aspects of the solution. Armed with this data, you’ll get more of your emails in front of subscribers. And better inbox placement equals increased conversion opportunity and additional revenue. As with all our products, the Return Path Platform is powered by our proprietary data set—the world’s most comprehensive source of data from the email ecosystem. The Return Path Platform was developed for email marketers. It is the result of deep collaboration with customers throughout the development process. For more than a year, customers have been validating the platform with their own data and providing feedback on incremental rollouts of the redesigned interface through our unique Early Access Program. We’re really proud of this release and view it as the beginning of many exciting product innovations to come. We are committed to improving our products and technology so we can continue to help email marketers get more messages to the inbox and increase revenue for their companies. For more information on the Return Path Platform, take a look at our fact sheet. Want to see the Return Path Platform in action? Request a demo today! 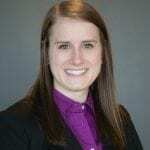 Courtney Miller is a Product Marketing Manager at Return Path where she uses her immense knowledge of Return Path products to shape everything from their messaging, positioning, and innovation. Courtney’s previous role as a Technical Account Manager gave her the skills and background to be a successful product marketer, requiring her to be an expert on Return Path’s products and solutions, and to understand the customer’s problems and needs. She loves working with teams across the company to bring products to market that truly enhance the lives of email marketers. In her spare time, Courtney loves to enjoy the Colorado Rocky Mountains and the incredible food and entertainment scene of downtown Denver.